Garrett emerged as a promising young musician through the Manitoba high school band program and has since gone on to win numerous local, provincial and national music competitions. He performed his orchestral solo debut with the Winnipeg Symphony Orchestra at the age of 16 and with the same orchestra recently performed Mozart's Flute Concerto in D Major. 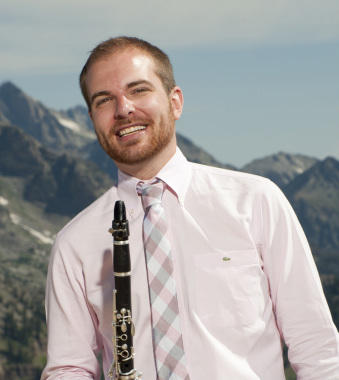 Mr. Hudson earned his Bachelor of Music degree from the University of British Columbia in 2007, studying under Scottish flutist Lorna McGhee. He has held positions in some of North America's leading professional training orchestras including the National Academy Orchestra of Canada and the Orchestre de la Francophonie based in Montreal, Quebec. Additionally he has participated in other world-class summer training programs such as the Young Artists Program through Ottawa's National Arts Center and The National Youth Orchestra of Canada. Garrett earned his Masters of Music Degree from Rice University's Shepherd School of Music under the tutelage of renowned flute pedagogue, Leone Buyse. Born in Taipei, Taiwan, raised in West Vancouver, British Columbia, Erin has performed in symphony orchestras, chamber music concerts, and solo recitals in North America, Europe, and Asia. She has performed with Houston Symphony, New World Symphony, Rochester Philharmonic Orchestra, and National Taiwan Symphony Orchestra. She has participated in the National Orchestral Institute, American Institute of Musical Studies in Graz, Austria, Sarasota Music Festival, The Banff Centre Master Class Program, and as an oboe fellow at the National Academy Orchestra of Canada. At the age of sixteen, she won first place, in open age group, in both the Federation of Canadian Music Festival and the Canada Music Competition. In addition to live performances, she has also been heard on the national radio broadcast program, “Performance Today.” She received her master’s degree in oboe performance, with full scholarships, from the Shepherd School of Music, Rice University, and her bachelor’s degree in oboe performance from the Eastman School of Music. Her influential teachers have been Robert Atherholt, Roger Cole, and Richard Killmer. A New Jersey native, Tracy Jacobson began her musical career riding the commuter train to Juilliard Pre-College every Saturday. She took her bassoon and moved southwest to continue her studies, to pursue a Bachelor of Music degree from Rice University's Shepherd School of Music. Throughout her career, Ms. Jacobson has been an active recitalist, playing solo and collaborative recitals across the country. Tracy has played with orchestras including the Louisiana Philharmonic Orchestra, Symphony of Southeast Texas and has soloed with the New Philharmonic of New Jersey. Ms. Jacobson is dedicated to outreach programs, particularly those designed to get both children and adults excited about classical music. She is a recipient of Rice University's Sviatoslav Richter Fund for music outreach and has led the JUMP! outreach program at Rice. Tracy founded the Music Bus Tour, an organization that sponsors emerging chamber groups. In addition to founding the Music Bus Tour, Tracy was a fellow at the Music Academy of the West, National Symphony Orchestra Summer Music Institute and Sarasota Music Festival. Born on the west coast of California and raised in Las Vegas, Nevada, Anni began playing the French horn in 7th grade after a few months on the trumpet, and has never looked back. Her initial passion for music was fostered by her song-bird mother, given shape by her classical training in ballet, and developed during her undergraduate career at the University of Southern California. There she studied with Rick Todd, James Thatcher, and Kristy Morrell, discovering a love for chamber music, educational outreach programs, and various styles of performing. Anni was a founding member of the Horn Squad, a horn quartet which toured public and private schools in Los Angeles and toured nationally as the Thornton School of Music resident ensemble. In 2009, Anni won first prize in the Yen Liang Young Artist Competition and soloed with the Diablo Symphony in Walnut Creek, California. In 2010, she became a member of WindSync and has found her creative niche, crafting unique shows and performing for audiences all over the world. Anni spent summers studying with Roger Kaza at the Chautauqua Music Festival and Texas Music Festival and is most inspired by the colors of the sky during sunrises and sunsets. In her free time, Anni enjoys running, solving problems, and song-writing.